Late last year saw the publication of a book edited by Lisa Alexander which gathered together writings by artists involed in her project Love Letters to a (Post)Europe programme that took place at Bios, Athens (2015). As I was unable to travel to Athens at the time, Lisa suggested that my work be performed by Athens based artist and performer Dimou Vassilik, who did so with a brilliant intensity. What we could not have foreseen was that Vasilliki would become terminally ill, she died in early 2018. Vasilliki had realised the work in the 15 minutes duration that Lisa had stipulated for the work, and then came to support and witness me as I remade the work, again in Athens, over the duration of 10 hours for the Marina Abramovic, curated MAI, AS ONE at the Benaki Museum. We had not met before, and yet within the short time frame of my visit to Athens I felt the kinship of a great artist and a firm ally who lavished me with company, flowers, critical dialogue and emotional buoyancy. I was desperately sad to learn of her illness and passing. In Athens we unpicked the mechanics of the work, and it’s political import within a workshop and a public discussion. Subsequently within the book Lisa made a space for Vasiliki and my voice by including a series of emails drawn from the space of our association and collaboration. I am indebted to Lisa for affording this opportunity and for documenting it so tenderly in this publication. Other vital contriutions include: Kate Adams, Demosthenes Agrafiotis, Brian Catling & David Tolley, cris cheek, Robin Deacon, Tim Etchells, Alec Finlay, Matthew Goulish, Guy Harries, Steven C Harvey, Catherine Hoffmann, Wendy Houstoun, Mikhail Karikis, Brian Lobel, Claire MacDonald, Georgios Makkas, Ivana Müller, Mariela Nestora, Kira O’Reilly, Florence Peake, Erica Scourti, Maria Sideri, Anna Sherbany, Jungmin Song, Yoko Tawada, Nikki Tomlinson, a collaborative text by Lisa Alexander and Mary Paterson, and an essay by Claire MacDonald. I was astonished and delighted for my work Stair Falling to be included in Robert Daniels special edition of twenty performance art works, Tiny Live Art (Development Agency) - 20 works for 20 years: 20. You can learn more about the series here and the other extraordinary works he has realised in miniature. The works will be presented as part of Live Art Development Agency’s celebration of its twenty years anniversary on 6th March. The occasion will also see the launch of the publication AGENCY: A Partial History of Live Art edited by Theron Schmidt, in which a dialogue between Martin O’Brien and myself is included. Other contributors include: Barby Asante, Ron Athey, David A. Bailey, Anne Bean, Bryan Biggs, Cassils, Simon Casson, George Chakravarthi, Curious, Richard DeDomenici, The Disabled Avant-Garde, Tim Etchells, Andy Field, French & Mottershead, RoseLee Goldberg, Guillermo Gómez-Peña, Jen Harvie, The Institute For The Art And Practice Of Dissent At Home, Dominic Johnson, Amelia Jones, John Jordan, Lois Keidan, Alastair MacLennan, John E. McGrath, Jordan McKenzie, Hayley Newman, Mary Paterson, Project 0, Alan Read, Heike Roms, Rajni Shah, Joshua Sofaer, Selina Thompson, Jane Trowell, Johanna Tuukkanen, the vacuum cleaner, Manuel Vason, Lois Weaver, Catherine Wood. A beautiful online catalogue has been created for an exhibition Jennifer Willet and I exhibited a collaborative work in. RMIT Gallery’s exhibition My Monster: The Human-Animal Hybrid curated by Evelyn Tsitas. Jennifer Willet and I are delighted to have a work in the current exhibition at LifeSpace until 6 April, 2019, Disentangle: Science in a Gendered World curated by Cicely Farrer. More information about it here. 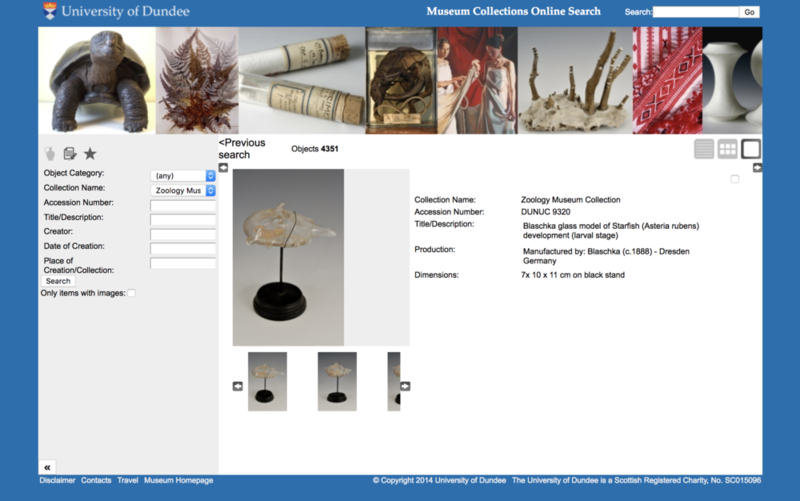 One of the intriguing aspects that formed part of working with Cicely was her invitation to us to select a work from the University of Dundee’s many museum collections to show with our work. We settled upon one of the extraordinary Blaschka glass model of Starfish (Asteria rubens) developmental (larval stage), 1888. Underglass: the mutable, liquid like qualities of glass that were so adroitly manipulated into morphologies, also articulated the objectives and perspectives of scientific scrutiny that we try to indicate in our work including it’s jewel like framing under convex glass. Our selection is also a contemplation on gender, In her astonishingly beautiful essay More Lessons From a Starfish: Prefixial Flesh and Transspeciated Selves Eva Hayward refers to Anthony and the Johnson’s track Cripple and Starfish, exploring gender identity, flesh through the regenerative properties of the starfish and the prefix trans. Added on November 14, 2018 by Kira O'Reilly. I’m looking forward to returning to the University of Windsor following SLSA in Toronto and speaking at long time collaborator Jennnifer Willet’s Bioart class, and visiting their laboratory Incubator. Added on November 8, 2018 by Kira O'Reilly. November 9th and 10th see’s the opening events of SOLU - an artistic laboratory and platform for art, science and society here in Helsinki, an initiative of the Bioart Society in this their 10th year. on 9th the festivities begin with speeches, and performances including an collaboration by Ava Grayson and myself followed by a party. On the 10th there are talks and panel discussions. Added on October 16, 2018 by Kira O'Reilly. For the extraordinary season of events initiated by SymbioticA to make the bicenteenary of the publication of Mary Godwin Shelley’s Frankenstein, I have several works and activities that are part of Unhallowed Arts. The first is the final keynote for the beautifully titled Quite Frankly It’s A Monster Conference during which I will present key note "Unseam’ed: A performed assemblage of utterances, sighs and breaths", a performative text, a performance lecture or sorts that forms a sort of prologue for a performance I will present on Sunday. The work on Sunday commences at 17.00 and ends at 20.00 and can be entered at any point, viewers are welcome to come and go as they please and to spend as long or as short a time as they wish. The materials try to speak themselves, eggs, earth, glitter, wind, breath, carpet, flesh. Everything is exactly what it is. Everything is exactly something else. It is an entire world. A prefixal world. Over three hours, as day moves to dusk and night falls, a series of material embodiments and immaterial disembodiments will be performed in the large auditorium, it’s stage and a small room to the side of the stage. Viewers are welcome to enter this other world, to remain for as long or as short a time as they wish, or to come and go. Hyperprometheus takes specific meanings derived from Frankenstein and presents them within the realm of emerging and historical artistic disciplines. Considering specific meanings of the novel within the 21st century context, Hyperprometheus combines these with Timothy Morton's notion of Hyperobjects. The selected artworks are drawn from experimental, contemporary and biological arts and tackle ideas of life and death, the creation and assemblage of life, the reanimation of the non-living, future life, synthetic biology, the technological non-human and the responsibility of creators. This exhibition focuses on the intersection of the living and the non-living, artifice and nature, reproductive and biomedical technologies and other scientific and technological practices of our age. Mary Shelley ‘looked to the creative aspects of Prometheus’ persona to ask important questions about the limits of the artistic and scientific imagination' and in Hyperprometheus we consider such limits within the context of the new millennium. Curated by Eugenio Viola, Laetitia Wilson and Oron Catts. Written in the ‘year without a summer’ of 1816, Frankenstein was a product of extreme weather across the globe due to volcanic winter following the Mount Tambora eruption. This brief period of climate change triggered devastating worldwide harvest failures and provided fertile ground for speculative and gothic fiction. Two hundred years later, as dark clouds gather on the horizon, what can we draw from Mary Shelley’s cautionary tale of unnatural life born of human hubris and unrestricted techno-science? Dark Skies Ahead, explores science as a contestable power field which offers shelter from the forecasted storm while hastening its arrival and fuelling its intensity. Local and international artists present works which consider ecological futures, spatial and atmospheric perceptions and the dual potential of science. Added on August 26, 2018 by Kira O'Reilly. 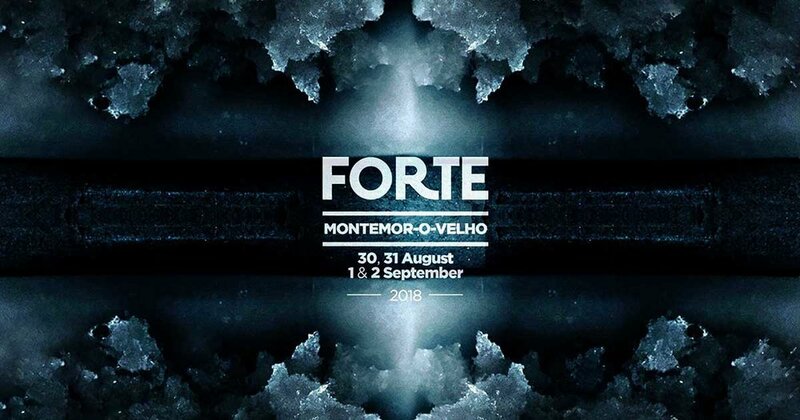 Towards the end of next week I return to Portugal this time traveling a little north of Lisbon to Montemor-O-Velho Castle where the outstanding Festival Forte of electronic music and visual arts is held. I go there at the invitation of experimental DJ Lee Adams to join Rotten Sun, his collaboration with musician Mia Zabelka (e-violin, electronic devices, alien objects) and Kevin Craig (video art) for a project called Art of Mirrors, a 45 minutes improvisation between four artists who have never before worked together. 'A gleaming razors edge, reflecting back the blank stare of the void'. You can read more here. I'm packing my dancing shoes, the line up of music is incredible. Added on July 22, 2018 by Kira O'Reilly. Tomorrow I participate in lunch time talk concerned with "Doing Science in a Gendered World" at LifeSpace Science Art Research Gallery in the School of Life Sciences, University of Dundee, Scotland, UK along with artists Clara Ursitti and Ker Wallwork. This event has been curated by Cicley Farrer. The title "doing science in a gendered world" is a quote by mathematical biologist and feminist historian of science Evelyn Fox Keller from the 1980s. She was making a case for the importance of who was identifying areas of scientific research, the gendering of language in scientific processes and the infrastructures that had meant that historically, science was typically a field where men worked. The intention of the quote is to highlight that the discussion isn’t simply about ‘women in science’ but recognising that behaviours and organisational systems can influence who does, or continues to do, science. Following the seminar I will give a workshop exploring some of the spaces in Dundee’s School of Life Sciences in order to experience and examine how bodies (not just human ones) act in relation to institutions, and the kinds of ideas and knowledges that are produced within and with them. The workshop derives from ongoing research by Kira and her collaborator artist Jennifer Willet on the concept of the laboratory as a site to question the relationship between bodies and productions of knowledges. These ideas will reference the ongoing research and art works made in collaboration with Jennifer Willet. I have not visited Dundee before, so I am very much looking forward to it, to meeting the other artists, curators and workshop participants, vising LifeSpace and to investigating these ideas in some of the labs of the School of Life Sciences, University of Dundee, Scotland, UK. Added on June 8, 2018 by Kira O'Reilly. Kate Clark, 'And She Meant It' (2010). Medium: Ram hide, apoxie, clay, foam, thread, pins, rubber eyes. Size: 26 x 25 x 21 inches. Photo courtesy of the artist. Added on February 8, 2018 by Kira O'Reilly. This years edition of Steakhouse Live in London promises be an extraordinary event over two days. I'll be revisiting Untitled (slick glittery) as a redux, Eggs, glitter, floor, vulnerability, it has been four years since this work was last made; there has never been very much to say about it, it is a series of textures: a rapidly changing menopausal body, materials that trouble, the smattering of matter. Added on December 22, 2017 by Kira O'Reilly. 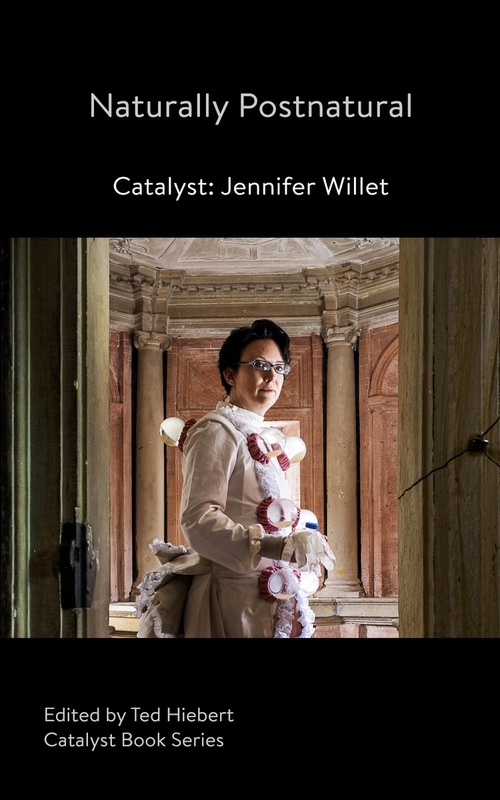 I am so very happy to announce the publication of and my contribution to Naturally Postnatural - Catalyst: Jennifer Willet, edited by Ted Herbert and published by Noxious Sector in their Catalyst book series. I have known Jennifer since we both were artists in residence in SymbioticA back in 2004 or there about. Since then we have shared with one another ideas, supported one another both in art and friendship and made a series of collaborative works that are of great importance to me. Writing a cluster of small vignettes that dance around the myriad threads of these conversations and works was a great pleasure and an immense privilege. Order a copy of the book and download a pdf of it here. In the 21st century, a humanly-impacted climate is the natural state of planetary affairs: a global environmental disaster but perhaps also an artwork of geological scale. Responding to this idea requires an artistic spirit with an ecological conscience--perfectly espoused by the work of artist Jennifer Willet. From speculations on the genetic future to reflections on the ways that art challenges engagement, interaction and analysis, the contributions in this book share a key concern of Willet's: a recognition of the complexities of artistic engagement in a time when the stakes of technological living have never been higher. With contributions from by Warren Cariou, Louise Chance-Baxter& and IAIN BAXTER&, George Gessert, George Gessert & Beth Franks, Christian Kuras, Marta de Menezes, Natasha Myers, Kira O'Reilly, Melentie Pandilovski, Paul Vanouse, Amanda White & Alana Bartol and Robert Zwijnenberg. Catalyst Book Series Volume 03. 254 pages. Added on November 5, 2017 by Kira O'Reilly. I am very much looking forward to traveling to Arizona to participate in the 31st annual meeting of the Society for Literature Science and Art at Arizona State University. Along with some other fantastic speakers I'll be participating in the Antennae, The Journal of Visual Culture's round table. Added on November 3, 2017 by Kira O'Reilly. At each launch will editor Harriet Curtis will introduce the book, followed by a round table discussion between Kira and special guests from the arts and sciences. Added on October 4, 2017 by Kira O'Reilly. I am delighted to have accepted an invitation to give a key note at this fascinating symposium. I first read Mary Shelley's Frankenstein at the graveside of her parents in St Pancras Churchyard in London. 2018 marks 200 years since the publication of Mary Shelley’s Frankenstein: or, The Modern Prometheus. Shelley’s “Creature” is usually conceived as a human creation, the stitched-together, tragic victim of scientific and technological experimentation. We rupture these stitches, revealing that the Creature is more than the sum of its parts. SymbioticA and Somatechnics join forces to present Quite Frankly: It’s a Monster Conference. We invite you to explore the dynamic ecosystems evolving within and from the gaps between the Creature’s fragments. Life has become a raw material for re-assembling organisms, tools and consumer products. We are firmly entrenched in a “[bio]informatics of efficiency,” where both biology and technology are subjected to control, optimisation, computation and surveillance at ever decreasing and increasing scales. In light of current ecological and bio-political devastation, we induce extinction. Keep calm and contaminate. There is hope, there is resistance; the Creature offers the potential to escape control and fight back. Join us to unpick the Creature’s stitches and liberate its companion species - we are calling for all voices to provide critical re-examinations of diverse re-creation stories. Added on September 11, 2017 by Kira O'Reilly. Coming up at the Copeland Gallery in October as part of Blood:Life Uncut, LADA are curating a series of events and a screening programme, Blood Counts that includes short films and documentation of performance works by Franko B, Marisa Carnesky, Ron Athey, Kira O'Reilly, Regina Jose Galindo, La Ribot, Martin O'Brien, jamie lewis hadley, Ernst Fischer & Nicola Hunter, and Rocio Boliver.a screening of short films and documentation of performance works by Franko B, Marisa Carnesky, Ron Athey, Kira O'Reilly, Regina Jose Galindo, La Ribot, Martin O'Brien, jamie lewis hadley, Ernst Fischer & Nicola Hunter, and Rocio Boliver. I am currently working on a performance that will take place over three days in three locations in Folkestone as part of Wake Festival, 8th, 9th, 10th September. Working along side artists I hold long respect and admiration for: Carlos Martiel, Dominic Thorpe, hancock & kelly who will also be making site based works, as well as looking forward to artists performing in at the ]performance space[ each evening. W A K E Festival is a three day festival of contemporary time-based/performance art in Folkestone (Kent), UK. The festival consists of site specific, durational works which unfold in and around Folkestone, across the 8th, 9th & 10th of September. In addition to the site based works, each evening (7pm-10pm) a more condense series of performances take place at ]performance s p a c e [. Taken at "6th Inter-format symposium on Hybrid Natures at Nida Art Colony of Vilnius Academy of Arts, 2016". Added on August 7, 2017 by Kira O'Reilly. Designer David Caines is currently in Helsinki working on a forthcoming publication on my work, Kira O'Reilly: Untitled (Bodies) which will be published this autumn by Live Art Development Agency and Intellect Books as part of their Intellect Live series. It is being edited by Harriet Curtis and Martin Hargreaves and has been supported by CARP the Collaborative Arts Partnership Programme. Working with Harriet and David is a joy, this week is one of particular quickening as we're delving into my archive and boxes, working back into the first draft of the design with more materials, some of which has not been seen previously or not for a great many years. I am hoping that the book will perform some of the many links and spindle like connections that span across the arts, the sciences, art contexts, and the many threads of lineages that weave into the doings and makings of an art practice. Added on May 21, 2017 by Kira O'Reilly. Trust Me I'm An Artist, 13th May - 23rd June, Zone 2 Source, het Glazen Huis, Amsterdam. The group exhibition of Trust Me, I'm An Artist opened on 13th May in Zone 2 Source, het Glazen Huis in Amstel Park, Amsterdam. It features works and documentation by many of the artists involved in the project, exploring of the ethicals of art and science. Photographic works and performance artifacts by Jennifer Willet and I from the previous evenings performance lecture, Be-wildering and ethics committee review at the Waag Society are one of the displays. Splice Re-Examining Nature, 20th May - 12th November, Oulu Art Museum. Splice Re-Examining Nature is curated by Nina Czegledy and the Bioart Society in partnership with Oulu Art Museum and presents artistic perspectives on our changing environment and relationship to Nature. The exhibition presents crossover works from contemporary perspectives, revealing current interpretations of the world we live in. Remains from the performance Be-wilderment (Nature Drag), presented as part of the opening event are in the exhibition.